Darien is a ten-year-old girl who loves to read, daydream, and paint. Her parents wish she would be practical and stop imagining things. One rainy day, Darien’s neighbor Mrs. Mildred (Mrs. Mildew to the children in the neighborhood) babysits Darien, much to Darien’s dismay. The old woman turns out to be much nicer than rumors might have suggested. Mrs. Mildred shares her box of mysterious paints with her, telling her to paint whatever she wants. Creative Darien uses the paint to create a portal to the magical land of Telinoria. Telinoria, however, is full of unhappiness among the population of dragon that inhabit the hills. When heated to the proper temperature, dragons’ scales turn into gold. For years, the dragons have been hunted for their scales. Darien must help her new dragon friends find justice with the humans before it’s too late. 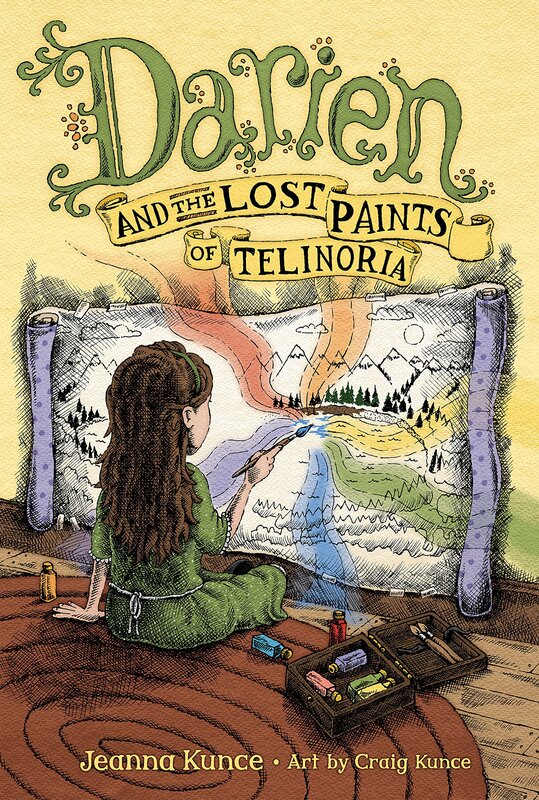 The Lost Paints of Telinoria is a wonderful story, full of magic and wonder. Darien is a lively character who seems to embody childhood curiosity. Follow along as she makes friends with fantastic creatures, like the dragon Amani and his little sister Tabo. The friends go on great adventures to find Amani and Tabo’s parents while seeking to stop the humans from hunting dragons. Anyone who enjoys tales with dragons, royalty, and heroes will enjoy this book. I think my daughter would love this! What grade level do you recommend? This is grade level 3-4, per the Amazon listing. Sign up for our newsletter to receive updates about new releases, events where you can find us, and other publishing news!